Sorry it's been so long since I have posted. Time seems to slip away this time of year when I am getting ready for CHA. There is always so much to be done before leaving and I am leaving early to boot! There is more work to be done when I arrive in California, so they needed me to go a few days before the show. So I have been busy, creating and planning, at my scrap table everyday. 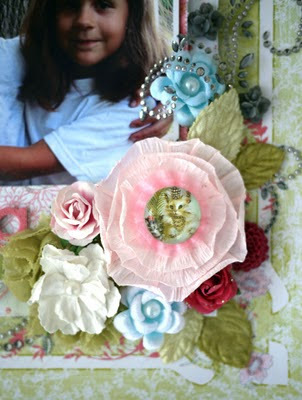 Live with Prima has also kept me busy, with classes, moderating and scheduling. The classes have been a huge success and we are coming up on our first anniversary in February! Can you believe it's been a year? It flew by and it has grown so much over the past year. And it keeps getting better! I really love my job and I have made so many new friends-it has been a wonderful journey so far. 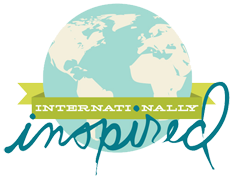 If you haven't had the chance to see what it's all about, then I encourage you to do so. I gurantee you will learn something new in each and every class. 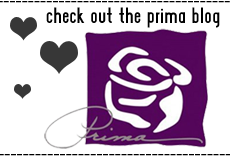 Not to mention, the sneak peek show I just aired last week, loaded with so many new goodies that Prima is coming out with. My show ended up being two parts because of a glitch on ustream. And here are a couple of the layouts that I demonstrated on the show. Sorry if the photos are a little fuzzy-I am still trying to adjust to my new camera. I think I need a better lense for it. 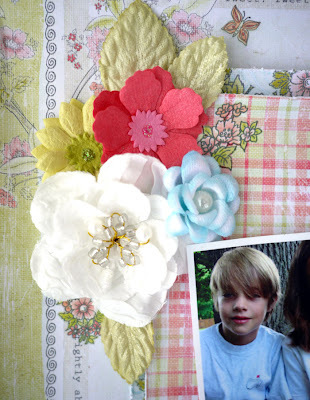 These layouts were made using the new Sparkling Spring paper line by Prima. The colors are very soft yet bright and happy. I didn't think I would like it when I first saw it, but now I love it! 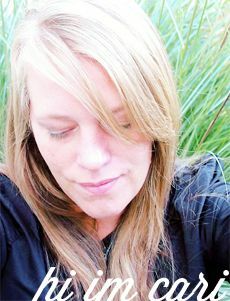 I had to come up with photos that work with it so I know they've been seen before, but thats OK! I needed extra layouts for Kate's album. :) Mary will love that! 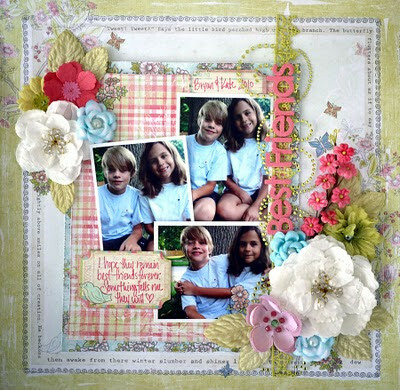 I used new lace/bling borders, flowers and alphabet (love the new font!) mixed in with the papers. I also added rub-ons and chipboard accents too. I love mixing it all together! And here is a little closeup shot of a flower cluster on the page. I just love the wire and bead work in the flower center! accents and rub ons were added too. And then, finish it off with some bling and a title. OK-thats all for now! I hope to be back with more new projects for you soon! Thanks for stopping by as always! Have a great day!